It’s about time Khloé Kardashian found a man who makes her happy — and oh boy, does Tristan Thompson do that. Things are really working out for Kardashian and Thompson, and one month into their relationship they remain very happy. In fact, according to an E! News source they’re “doing really well” and they’re also exclusive. “There is a lot of chemistry between the two of them and they are happy together,” the source added. Kardashian has been through a lot in the love department, having to deal with the break up of her marriage to Lamar Odom, and then her decision to put her divorce on hold to rally behind him during his near-death overdose (both of which must have really taken their toll on her emotionally). And while she seemed happy with French Montana and James Harden in the past, Thompson really sounds like a keeper — and he wants Kardashian to be a part of his life, even showing her off to his friends. “She’s even gotten close with a few of his friends and they all hang out sometimes. 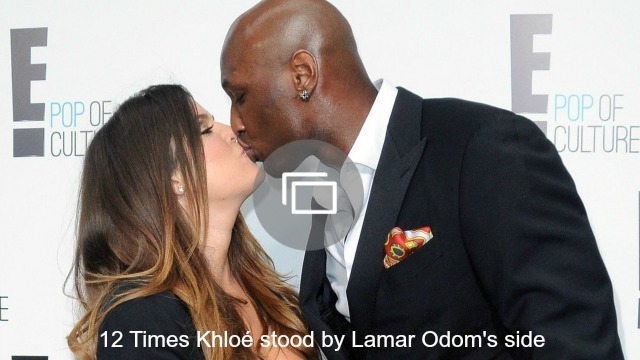 Khloé hasn’t had this much fun with someone in a while,” the source said. Yep, that sounds pretty serious to us. Plus, if anyone deserves to be happy, it’s Khloé Kardashian. She’s proven time and time again how loyal and dedicated she is to the people she loves, and it would be great to see someone value her in the same way. Do you think Tristan Thompson and Khloé Kardashian are a great match? Share your thoughts in the comments below.